Best to pick this in a field but we found our leaves by the edge of strawberry plants. It is a lovely feeling to think that we are competing with rabbits for that salad! 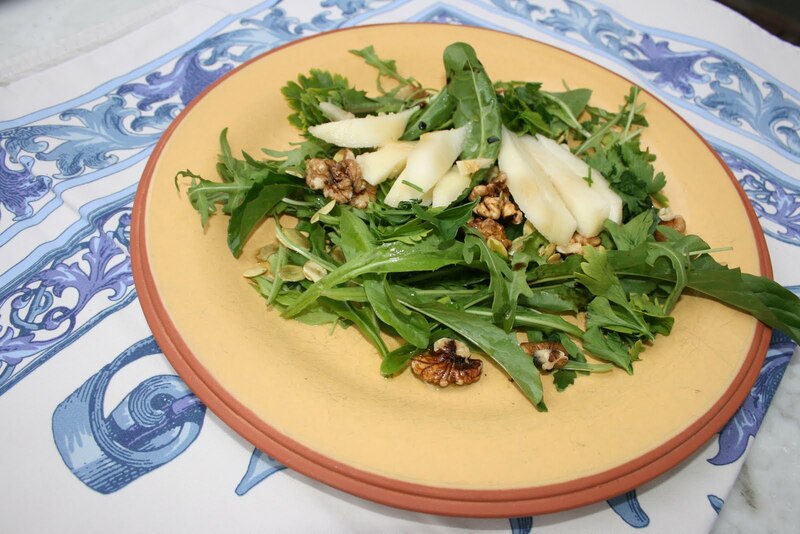 The bitter edge of the dandelion is nicely rounded by the pear and nuts.